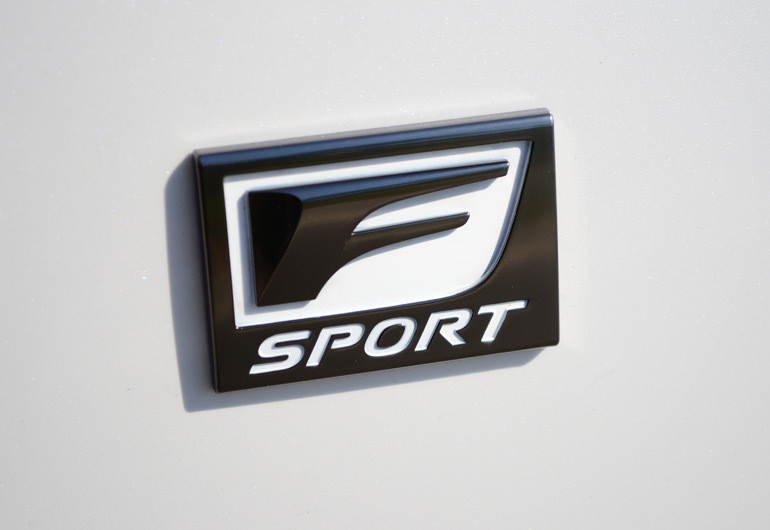 The new design language of Lexus has been spiced up to attract a larger enthusiast base and now tricked down to their prided RX350 SUV with a new F-Sport package for the 2013 model year. The all-new 2013 RX350 already embodies Lexus’ pursuit to put their best refined luxury attributes forward. Now, Lexus is attempts to demonstrate a sportier side of the spectrum with the new RX350 F-Sport sharing subtle sporty design traits and refreshed chassis dynamics to match its new sporty look. The new 2013 Lexus RX350 is already a traditional luxury SUV in the sense of finding one in just about every other garage in traditional American suburbia. 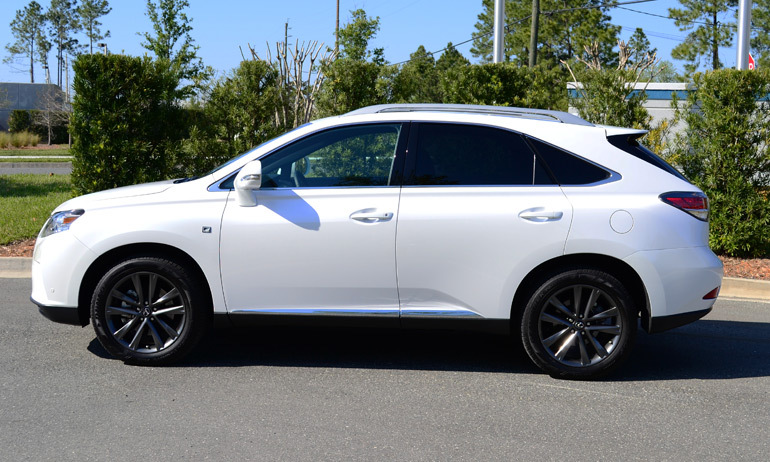 Exuding a lineage of remarkable quality, reliability, and fit and finish, the new 2013 Lexus RX350 is all about meeting the expectations of a mid-sized luxury crossover vehicle with a salted dash of performance and sporty looks in the new F-Sport trim. 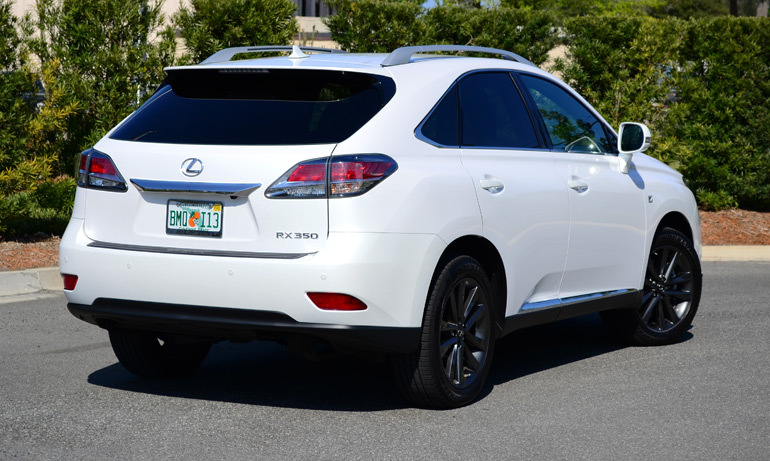 The new 2013 Lexus RX350 F-Sport retains most aspects of a normal trim RX featuring the same 3.5-liter V6 engine producing 270 horsepower at 6,200 rpm and 248 ft-lbs. of torque at 4,700 rpm. What is different in the RX350 F-Sport from the normal RX is a new 8-speed automatic transmission added in place of the 6-speed auto. 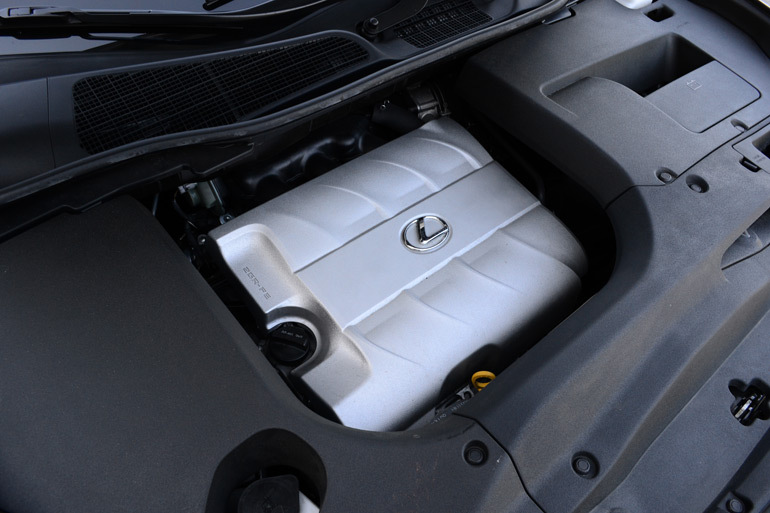 Adding the 8-speed auto box along with a standard all-wheel-drive system makes the RX350 F-Sport an attractive package for those who want to nudge out an extra bit of adapted performance. 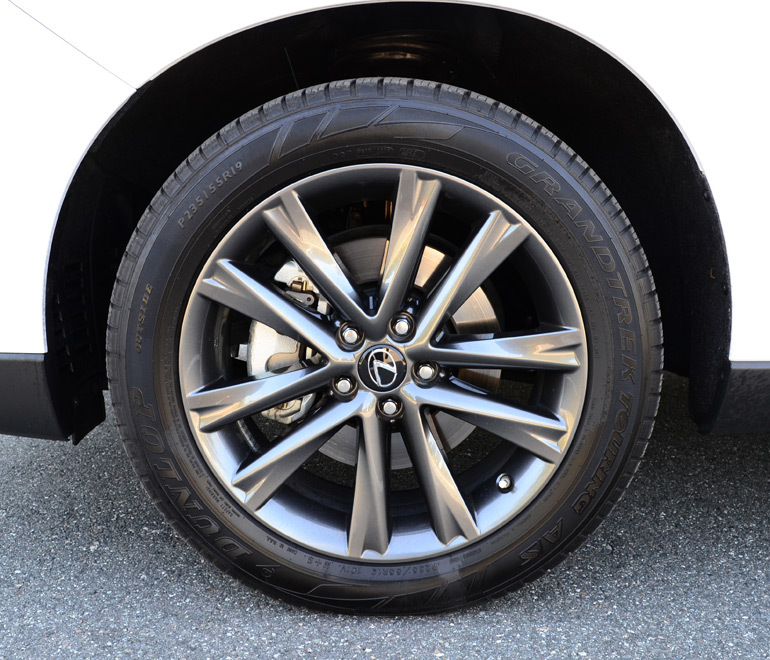 To complete the added performance of the F-Sport package is a standard set of darkened 19-inch wheels wrapped in 235/55 all-season tires and sport-tuned suspension. 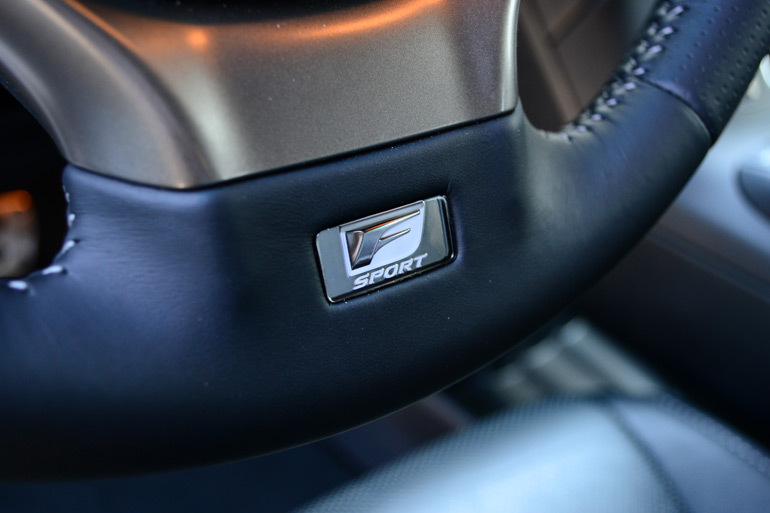 Power from the silky smooth V6 engine, more of a proven and refined workhorse for many Toyota and Lexus vehicles, comes on strong and is only as good as the 8-speed automatic it is mated to in the RX350 F-Sport. The 8-speed auto has a rather smart adaptation to your driving style where as it tends to go into a virtual sport mode under brisk driving. 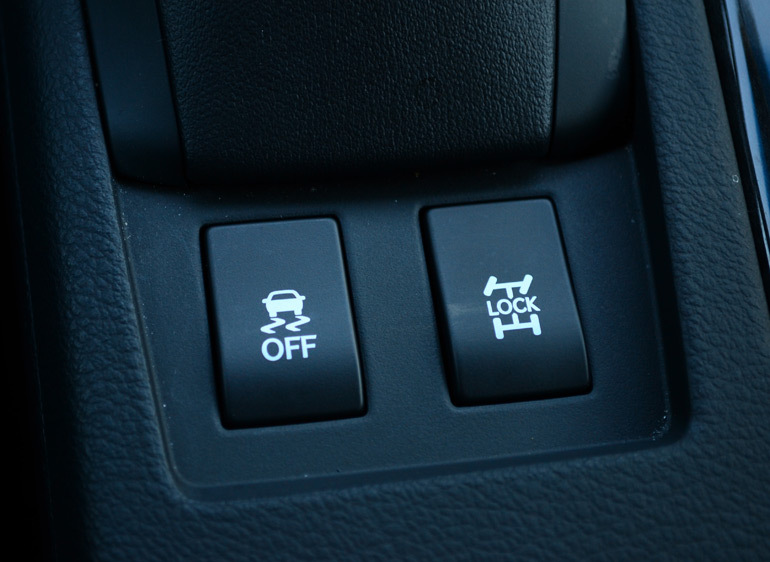 Conversely, the transmission seems to have a split second hick-up for selecting the proper gear when the need arises to upshift under mid-range throttle inputs. During abrupt full-throttle selections the 8-speed box has no qualms about quickly selecting the proper gear. A manual shift mode with steering wheel-mounted shift paddles is takes much of its programming from the Lexus IS-F allowing you to rev-match down-shifts near redlined rpm levels. Additionally, the transmission actually holds gears in manual mode without automatically up-shifting under heavy throttle. The new sport tuned suspension, unique to the RX350’s F-Sport package, is basically a change in the dampening of the shocks along with two braces to bridge the front and rear chassis rails. Surprisingly, the ride is noticeably firmer over a normal RX350 though the spring rates remain unchanged from the normal RX350. What is claimed as a true sport-tuned suspension in the RX350 F-Sport really changes its road-going feel with somewhat of a firmer dampened ride and better turn-in. 0-60 mph times remain around 6.8 seconds, mostly unchanged from the previous 2 years. On the road the new 2013 Lexus RX350 F-Sport provides a smooth ride but does transmit an extra bit of stiffness when going over moderate to large sized road bumps. However, the RX350 F-Sport continues to remain civilized and extremely quiet with only a slight growl transmitting into the cabin from the V6 engine under power. Fortunately, Lexus now offers the ability to burn regular 87 octane fuel, something of value for those wanting to save a bit at the pump and still nail the 18 mpg city and 25 mpg highway estimated fuel economy figures. During my week-long drive consisting of about a 50/50 ratio of city and highway driving I came away with 19.5 mpg on average and reached 24 mpg on the highway. 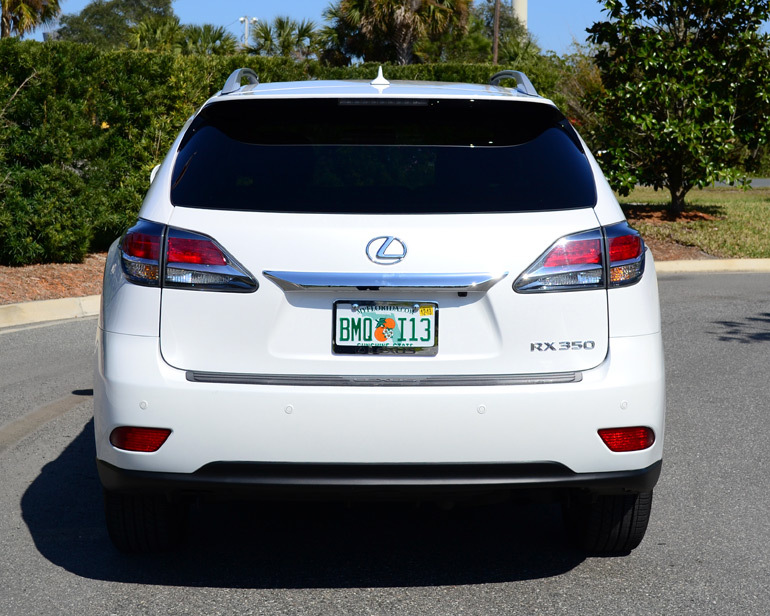 The new 2013 Lexus RX350 F-Sport’s front end exterior styling along with the darkened 19-inch wheels and F-Sport badging, outside and inside, are the only visual giveaways of the F-Sport being something ‘different’ from the normal RX350. 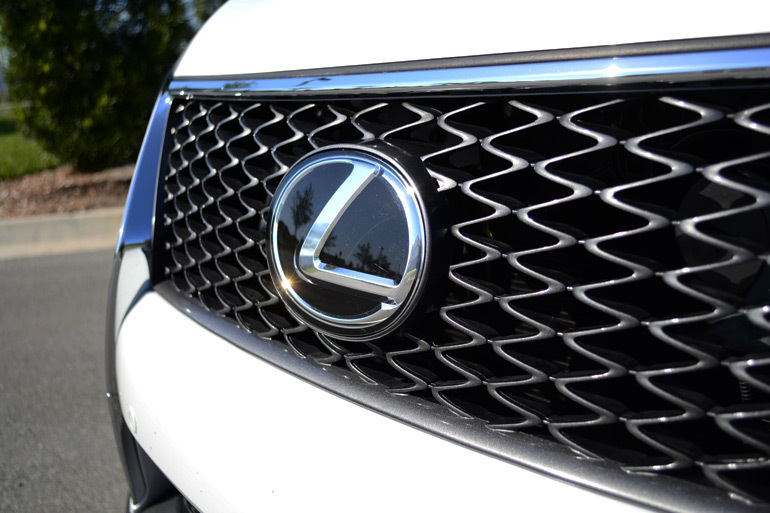 The front end bumper is highlighted by a mesh-style grill projecting the new spindle grill design iterated throughout the rest of the new Lexus lineup of vehicles. 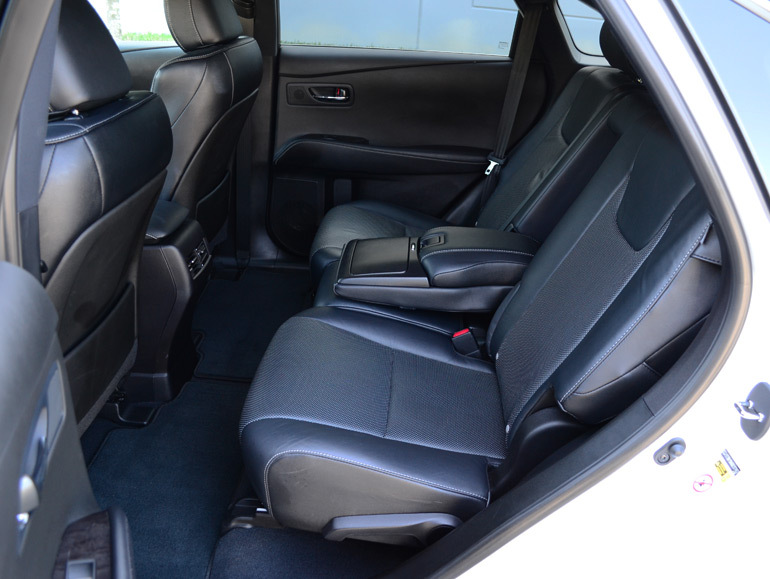 On the inside the new 2013 Lexus RX350 F-Sport is virtually the same as the normal RX350. Though, normality already has had its bar set in a high position when it comes to Lexus’ luxurious interiors. The new RX350 is nothing short of what is expected from Lexus. 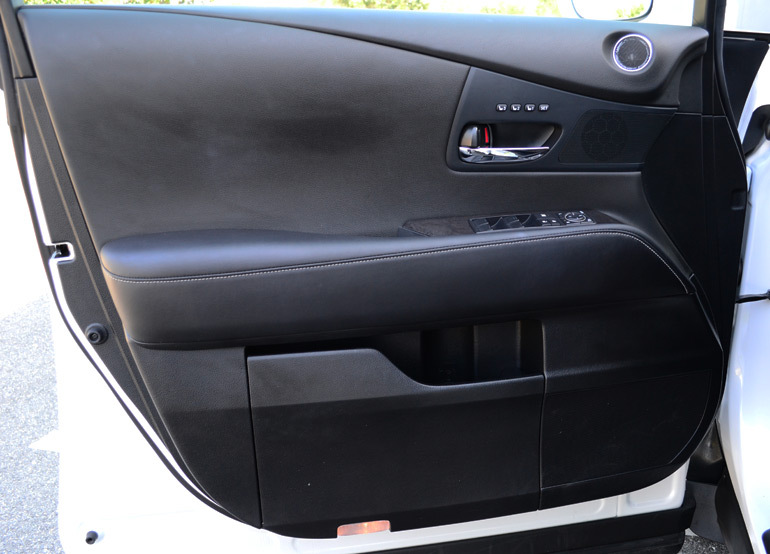 Most dashboard interior pieces look to have a luxurious look with only a couple places filled with hard plastics. 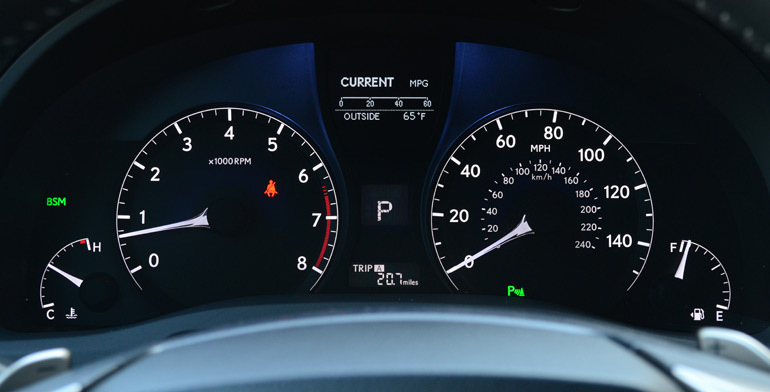 The electroluminescent gauge cluster is brightly lit while all controls are easily accessible in their traditional location. The latest version of Lexus’ Enform suite of apps to integrate with your cell phone work well through Bluetooth synchronization. 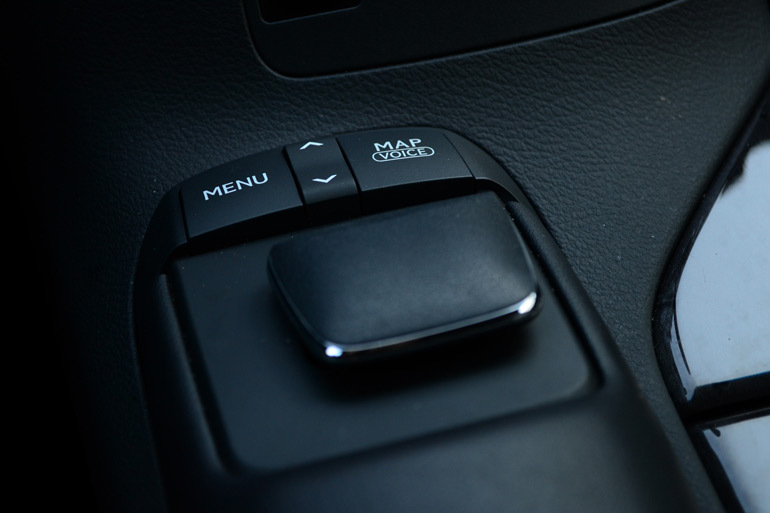 The Lexus remote touch system, which uses a mouse-like tracking device to navigate through the high-resolution center color LCD screen, takes a while to adapt to. The force feed-back of the tracker when rolling over on-screen buttons is a benefit to helping keep your focus on the road when making function selections. 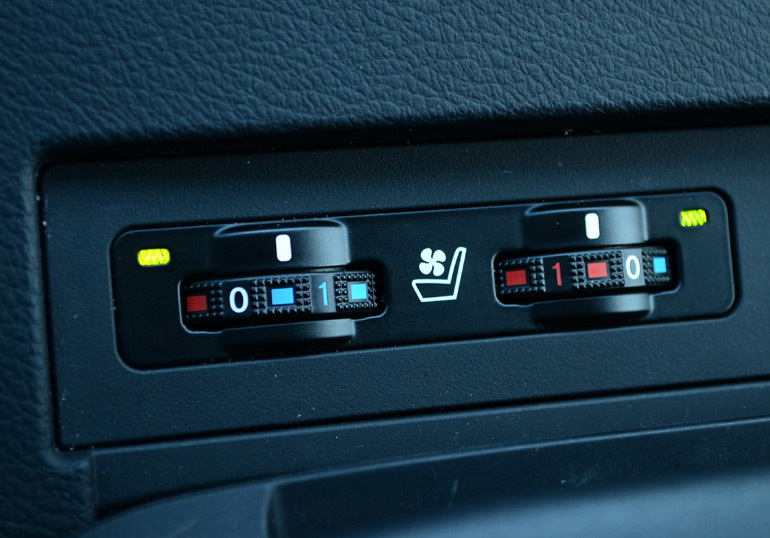 Other dashboard controls, such as a dedicated button panel for ac/heater and audio controls is a welcomed change-up from using the mouse-type tracker control. 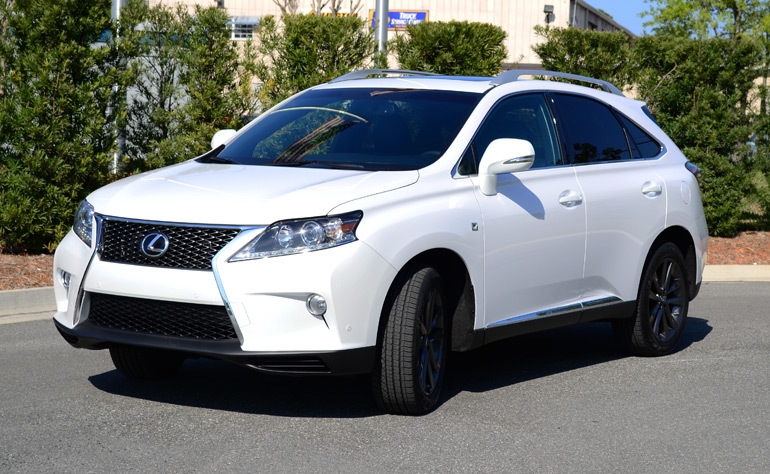 A full range of luxury options are available of the new 2013 RX350 F-Sport, such as a top-level Luxury package adding LED headlights, 10-way power front seats, heated steering wheel and smog-sensing climate control. The new standard LED running lamps, heated mirrors, power liftgate, dual-zone auto climate control, eight-way power front seats, power tilt and telescoping steering wheel, sliding and reclining rear seats, auto dimming rearview mirror, Bluetooth phone and audio streaming, iPod/USB interface, satellite radio, Entune app suite and 12-speaker sound system with HD radio are all value-added features that make the RX350 an attractive buy as it comes. I found the interior room to be plentiful for 5 passengers while the rear seating area’s sliding and reclining feature adds to the versatility of the RX. 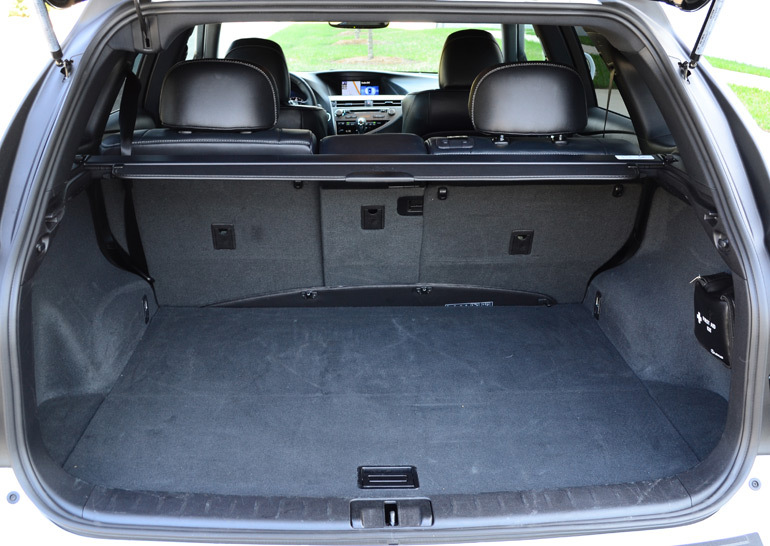 Rear cargo, accessible through the standard power liftgate, gives you about 40 cubic feet while folding down the rear seats gives you about 80 cubic feet. It would be outlandish to really think that Lexus serves up a complete performance package with the RX350 F-Sport. 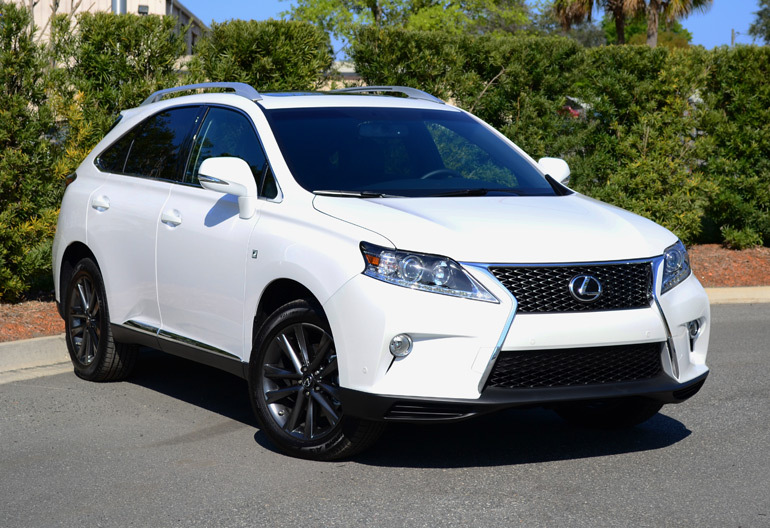 The F-Sport package is more of a trim-level with a few sporty traits just to give enthusiasts a better appetizer with the same main course and dessert that the normal RX350 offers. 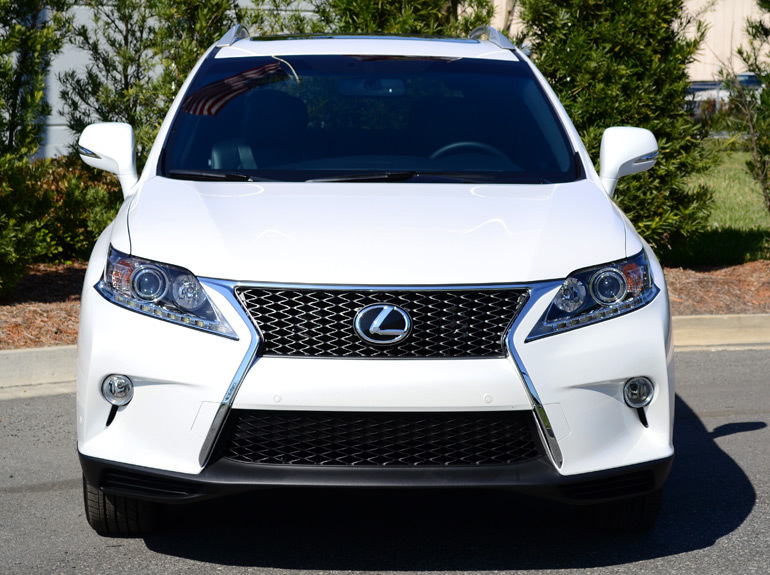 Pricing for the all-new 2013 Lexus RX350 starts at just $39,660. The new 2013 RX350 F-Sport package raises the starting price to $47,350. 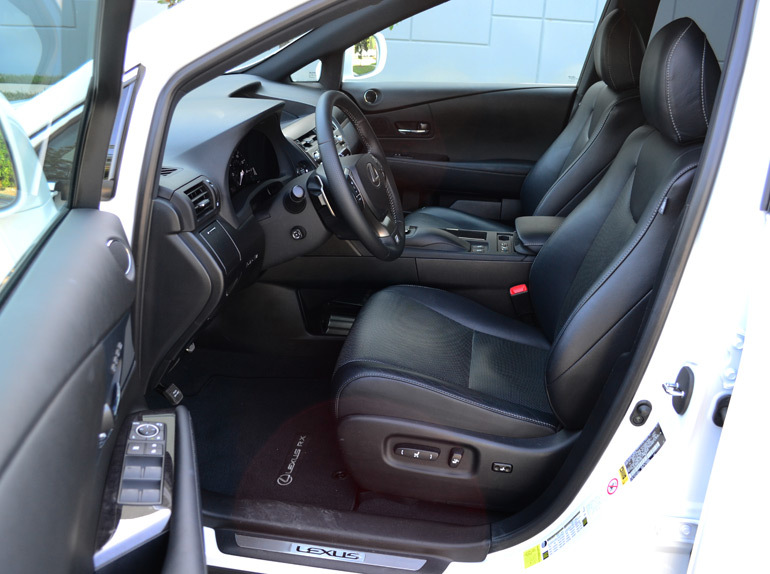 Adding on just a few options packages will quickly raise the price point to beyond $52,000 with the F-Sport package.